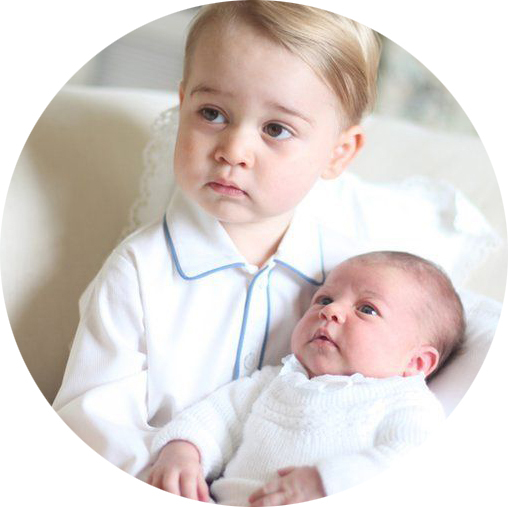 An utterly adorable Prince George stole the show at his little sister Charlotte's christening earlier this month. He was wearing a red Rachel Riley buster suit as he walked alongside his picture perfect family looking cheekily out at the crowds. It wasn’t the style or even the colour of his traditional looking outfit that caught our eye but the fact he looked just like his Daddy did almost 30 years previous. 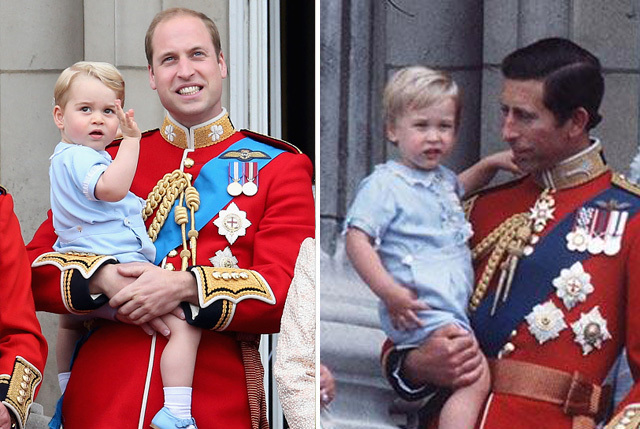 George’s beautiful buster suit was an almost identical match to the one Prince William had worn when meeting his brother, Prince Harry, for the first time. 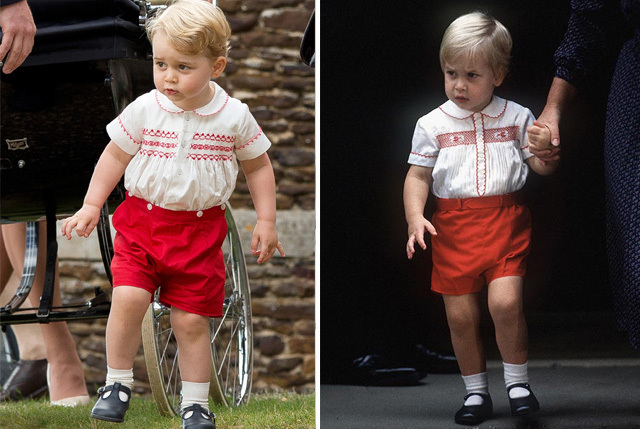 This isn’t the first time the royal couple have dressed little George like his Daddy. At this years Trooping the Colour he was seen wearing an identical baby outfit to the one worn by Prince William in 1984. Although they've managed to keep the designer of this cute blue suit a secret, if you want a look just like his try this Mini La Mode smocked shortie. We love this cute nod to his heritage and history, which was your favourite Daddy replica?